If you are a Muslim woman considering marrying outside your faith, please read the well-researched chapter in 6000 Words – in the book American Muslim Agenda available at Amazon, Kindle and Barnes & Nobles. 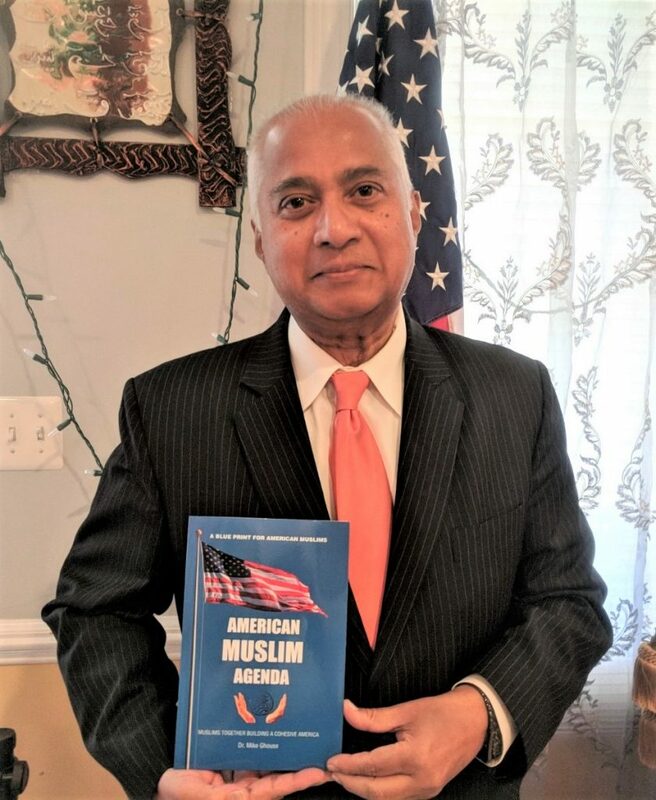 The book is a Muslim effort in building a cohesive America where each one of the 323 million Americans feels secure about his/her faith, race, ethnicity and culture. It is bold writing that Muslims have not dared to speak in the past for fear of fatwas. This book will resonate with 90% of American Muslims who want to live their lives with freedom and get along with fellow Americans. I hope you find this book in tune with your vision of America. The discussion is about the marriage of single Muslim women in America in general and Muslim women in their fifties in particular. There are not enough Muslim men out there, and interfaith marriage is one of the few viable options to them. Most of the American Muslim Women rule out the idea of marrying someone from their home country as it does not work out culturally nor do they have the patience for arranged marriages. They want to get to know the guy before marrying, and that is not easy. Today, nearly 40% of Muslim women marry outside of their faith and most of them without conversion. Researching the matrimonial sites, out of 1000 Muslim women, only 30% of them over the age of 50 have listed Islam as their religion, the rest have registered themselves as spiritual but not religious, and they invariably add, “religion is no bar.” Meaning, people of other faiths can approach. There is nothing you can do, it is not your life, and you don’t have solutions either. You can tell them to marry a Muslim man, but it is their life, they have seen the growth, go through a divorce or have not married at all, and they know what they want. They want a man to marry and not religion. A majority of Muslims quietly go along with these decisions, some have many questions, and some are ready to quote verses from the Quran and make declarations that they are out of the pale of Islam. Islam is a religion of Aalameen, the universe and its tent are too big not to accommodate differences. By the way, this is not an exclusively Muslim problem; it is a problem in all faiths, again it is not the faith, but the whims of the guardians of the gospel. If you are a binary robotic Muslim who parrots between two words Halal and Haram on autopilot, then this article is not for you. If you believe your religion is guidance to live a happy and harmonious life and God has given the intelligence to think and live such an experience, please read on! Remember, Islam is a deen of Fitra, a natural reflection of one’s nature, so if it is not common sense, then it is not Islam. Islam is not about forcing and regulating others life but bringing harmony and peace to humankind. This piece is for those Muslims who understand the essence of Islam which is to create cohesive societies. It is for those who follow God’s signs. He has created the earth and the heavens, planets and the systems and programmed them to function cohesively. To understand cohesion, let’s start with our bodies. We are composed of billions of different cells, but most certainly we can see that our bodies have several different organs, and all of them have to work together for us to live a normal life. We are one planet, one earth and one system of creation and through one cause. That is one God. If you are struggling with the idea of pursuing a relationship with a man, who is not a Muslim, but you like him and want to spend your life with him and are tempted to be Bibi Khadija, then it is your choice. Finding the truth is your responsibility, and in Islam, no one is responsible for your actions but you, and no one bears the burden of others. It is your decision, and you have to live with it, so think through it. Guarding the flock is a human trait, and no tradition wants to lose a member of their culture to the other, whether you are a Hindu, Christian, Sikh or a Jew, Republican, Democrat, Libertarian or new, indeed, any tradition for that matter. Muslims are no exception, and there is no need to beat up on Islam for your comprehension deficiency. Quran does not expressly forbid Muslim women marrying non-Muslim men, and neither prophet has explicitly prohibited it. If you read the verses particularly the oft-quoted verses 60:10 and 2:221, there is an advisement to marry with whom you are compatible, and with whom you can live in harmony. It is relational guidance that a believing bondsman is better than a non-believing man and vice-versa for men. The comparison is for one to understand that social status is not essential, but harmony is. Marriage is all about harmony – God wants his creation to live in peace. You don’t want to live with someone with conflicts throughout the day. If you find a spouse who can live with you in harmony despite religion, race or region, then that ‘advisement’ or the condition is not applicable anymore. After all, God is the one who puts love between two souls and it the couple who has to live their lives. In verse 60:10 disbelievers were those individuals who prevented the believers from practicing their faith; there was an element of hostility between them. However, today, most people of faith are believers in God in one fashion or the other. I have officiated weddings between an Atheist and a faithful, and it is about harmony and not the belief. If they can live in Harmony, God will not come in between their love, and it is him or his system that made each other want to come together. It is about compatibility and harmony and not religion or another case. The questions are endless, but the answer is a powerful one, and that is accountability. In the traditional societies parents rightfully felt responsible for guarding the happiness of their offspring, whereas parents in North America are learning to believe that their kids are independent and know what they want in their lives, and will find their happiness. Ultimately, they have to live their own lives. There is one segment of single Muslim women that is reaching an enormous percent of all the single women. These women are in their late 40’s, 50’s and 60’s. In my interviews, one of the ladies was 73 and was looking for a man younger than herself in the model of Bibi Khadija. Mind you, the divorced or widowed women and certainly not looking for a provider, nor do they entertain having children. They are merely looking to have a friend and a companion in their marriages and live their own lives. God wants nothing more for his creation than harmony and happiness. No woman should be denied her right to life, liberty, and happiness. No one can push an American Muslim woman to marry anyone other than whom she wants. By marrying someone she can be happy with, her faith remains strong, if not she would a Muslim in the name. Some of us may not want to acknowledge it, but the 2nd and 3rd generation American Muslims will have their own Islam that differs from others in other lands. However, the American practice of Islam would be closer to the one Prophet Muhammad (PBUH) practiced; a religion committed to building cohesive societies and caring for fellow humans and environment, in essence, Islam tells you to mind your own business as you do on the Day of Judgment. Indeed, we all have the same Islam, and there is no doubt about it. However, our cultures are different, the culture of Nahadatul Ulema, Deobandis, Naqshbandis, Sufis, Sunnis, Shias, Ahmadiyya, Ismailis, WD Deen Muhammad, Bohri’s, Nation of Islam, Alawites, Wahhabis, and others vary in practices from region to region. Even our rules are divided into six different schools of thought. Islam practiced by Baghdadi is not the same as the one practiced by any American Muslim. All of them are Muslims in their own right, and none of us have the power or permission from God to belittle or denigrate the other. If God had said no to a Muslim woman marrying a non-Muslim man, it would have been told in the Quran, and there is not even an inference. God does not make mistakes; instead, he empowers us to figure out our equilibrium. The decision to marry rests in the hearts and minds of the individuals marrying. It is their life, and it is God who puts love in their hearts for each other. God bless the Interfaith and Interracial Couples! Despite their religious, racial or cultural differences, they are setting the new standards of civility by showing the world how-to live-in harmony. Isn’t that what God wants? We have to cherish and honor the couples who embrace genuine humanity by accepting each other’s uniquenesses. If we can learn to respect the otherness of other and accept the God-given uniqueness of each one of the seven billion of us, then conflicts fade and solutions emerge. The sole intent of this essay is to understand the struggle of “Single American Muslim women” and keeping them from living with frustrations of culture and their wants and needs. We have expanded our fold to be reflective of God’s boundlessness and extending Prophet Muhammad’s mercy to the entire universe. After all, God says, he created all of us from one single couple; thus, we are all one family and should not have any barriers between us.